Got a taste for grilling this Father’s Day? We certainly do. Art and I are hosting my family this Sunday for Father’s Day, giving my father, brother and sister-in-law a break from cooking and cleaning. Our menu will include an assortment of salads, corn on the cob, fresh fruit, a signature cocktail and, of course, grilled steak. This year, we are including a special sauce for the steak beyond our standard fiery salsa. Chimichurri. My fondness for chimichurri started back in the early 90s when I visited Santa Fe de Bogota, Colombia. I remember my friend’s aunt serving us chimichurri with a steak there. First of all, the steak alone was one of the tastiest and juciest I’ve ever had. Accompanied with black beans, platanos, white rice and arepas the entire meal was simply fantabulous! The chimichurri sauce just seemed to bring it all together. 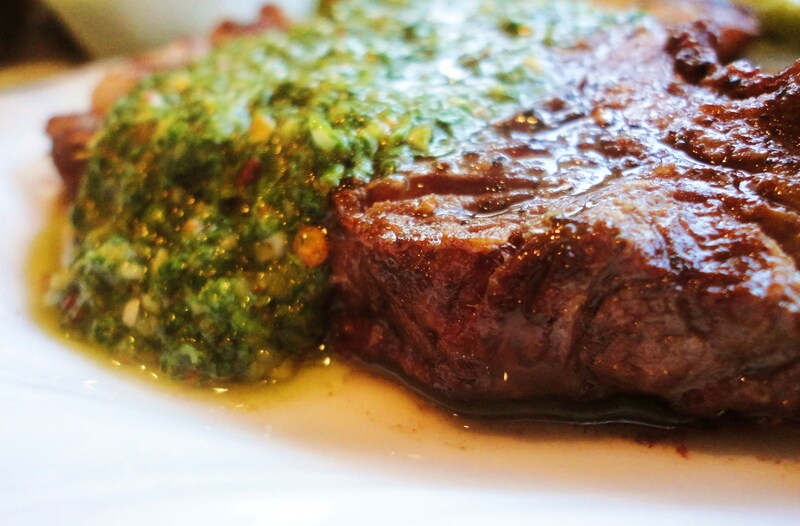 Chimichurri has its origins in Argentina but is popular throughout South America. It seems every household has their own version, like many dishes in Mexico and South America. The basic ingredients are herbs, garlic, olive oil, paprika, and vinegar. I like to add a little heat (the Mexican in me) by adding red pepper flakes or finely chopped jalapeños or serrano chiles. It’s a great all-purpose sauce that goes well with beef, chicken, and fish. 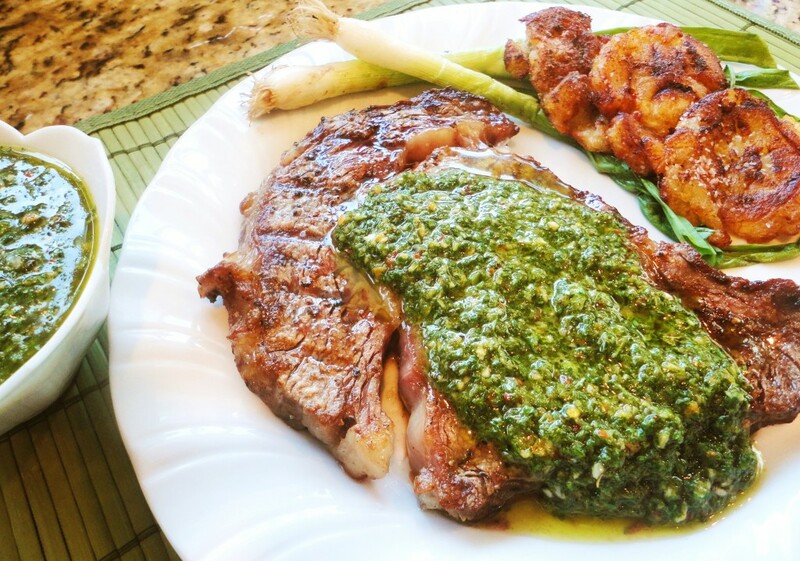 Chimichurri is quick and easy and quite healthy with all the vitamins and minerals from the herbs and garlic. Place a bowl of the Chimichurri in the center of your dinner table and let the familia add as much or little of it to their grilled meats as they like. Luckily for us, Walmart recently sent a gift card to LatinoFoodie so we can enjoy their new selection and wide assortment of Premium USDA Choice Beef cuts, including T-bone, NY Strip, Filet, Ribeye, and Top Sirloin, at a great price. 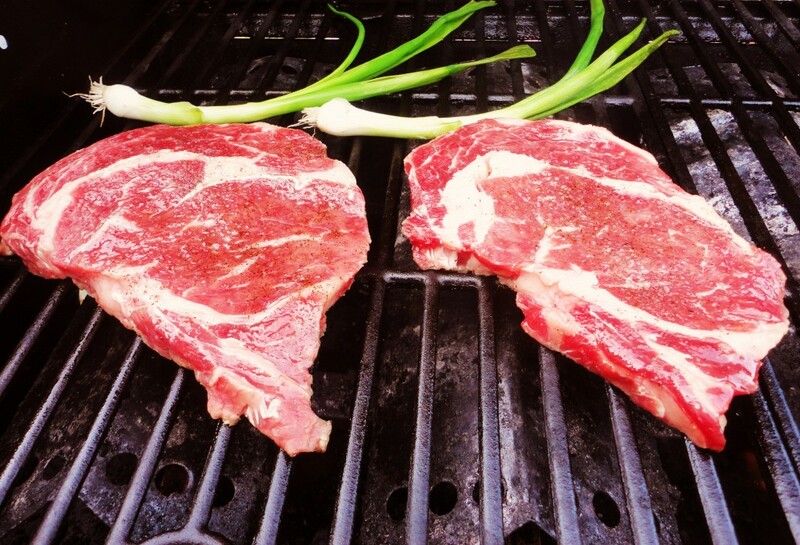 The Ribeye steaks we selected and grilled were juicy and tender. In my opinion, the Ribeye is one of the more flavorful cuts of beef, due to the muscle getting a lot of exercise during its life, unlike the fillet. The marbling makes this very good for slow roasting and it also goes great on a grill cooked to any degree. We chose the grilling method, simply dressed in olive oil, salt, and pepper, and I always shoot for medium rare. To learn more about Walmart’s new steak offerings, including recipes and grilling tips, please check out http://seeforyourself.walmart.com/steak/. 1. 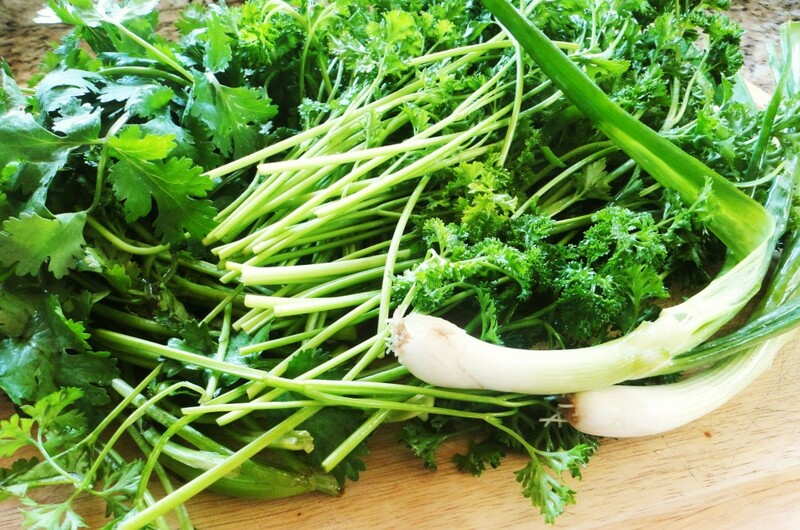 Put the parsley, cilantro, oregano, green onion garlic, and about a quarter of the olive oil into a food processor and pulse until the leaves are coarsely ground. 2. Add the red wine vinegar, paprika, salt, and pepper and pulse. Continue to pulse while drizzling in more olive oil. The sauce should have a fair amount of liquid, though some people prefer it to be a little more dry, so check for consistency to meet your preference. 3. Serve immediately. Store in a lidded jar for up to one month in the refrigerator. 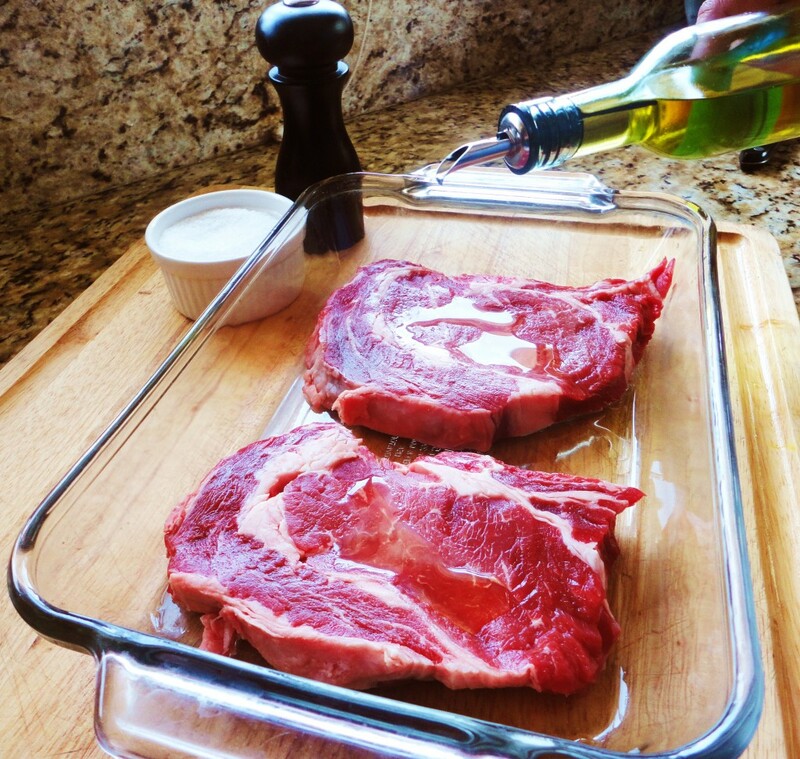 If the olive oil thickens up, just allow the chimichurri to come to room temperature before using again.